Add Your Text to the Kowhai Ngutukaka Women's Cap Sleeve T-Shirt Add your own text as well as move the kowhaiwhai pattern up or down to position it where you would like it. The kowhai ngutukaka pattern represents the kowhai ngutukaka plant. Add Your Text to the Kowhai Ngutukaka Women's T-Shirt Add your own text as well as move the kowhaiwhai pattern up or down to position it where you would like it. The kowhai ngutukaka pattern represents the kowhai ngutukaka plant. Add Your Text to the Kowhai Ngutukaka Women's Black T-Shirt (Two Sides) Add your own text as well as move the kowhaiwhai pattern up or down to position it where you would like it. You can even add your opwn text on the back. The kowhai ngutukaka pattern represents the kowhai ngutukaka plant. Add Your Text to the Kowhai Ngutukaka Women's Cap Sleeve T Add your own text as well as move the kowhaiwhai pattern up or down to position it where you would like it. The kowhai ngutukaka pattern represents the kowhai ngutukaka plant. Aotearoa with Paua Design Women's Black T-Shirt The lettering as well as the bar in this design is done in a Paua design pattern. Paua are found all around the coastal waters of Aotearoa, New Zealand. The further south the paua are, the colder the water is and the colours are darker. Aotearoa with Paua Design Women's Dark T-Shirt The lettering as well as the bar in this design is done in a Paua design pattern. Paua are found all around the coastal waters of Aotearoa, New Zealand. The further south the paua are, the colder the water is and the colours are darker. Matariki Names Women's Black Tank Top The rising of the star cluster Matariki in June heralds in the start of the Maori New Year. The star cluster Matariki is also known as Pleiades, Seven Sisters and Subaru. Matariki Names Maternity Black T-Shirt The rising of the star cluster Matariki in June heralds in the start of the Maori New Year. The star cluster Matariki is also known as Pleiades, Seven Sisters and Subaru. Matariki Names Women's Black T-Shirt The rising of the star cluster Matariki in June heralds in the start of the Maori New Year. Matariki is also known as Pleiades, Seven Sisters and Subaru. 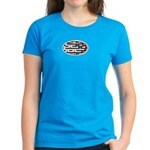 Chief Ringa Wera Women's Black T-Shirt For the Chief Ringa Wera. Our great black t-shirt is made of 100% preshrunk cotton, high-quality and heavyweight. Standard fit. Aotearoa Women's Plus Size V-Neck T A generous fitting T with a unique Maori Motif. Our 100% cotton, women's plus size v-neck tee is luxuriously soft. Constructed of mid-weight jersey, it's just the right weight for layering. Side seamed construction provides the perfect shape. New Aotearoa, New Zealand Contemporary New Zealand design on a lady's tee. Our 100% cotton women's tee is preshrunk, durable and guaranteed. Women's T-Shirt with Maori Design Contemporary Maori Design in the style of Gordon Walters. The most comfortable Women's t-shirt ever! Our 100% cotton Women's tee is preshrunk, durable and guaranteed. Women's Raglan Hoodie with Native Aotearoa Lizard This Lizard design is found on Maori Meeting houses in Northland New Zealand. Our Women's Raglan Hoodie is sporty, stylish and ultra-soft, so it feels great against the skin. This zip up hoodie is side-seamed for a contoured fit. It's an easy way to look great after a workout, or hanging out in comfort. 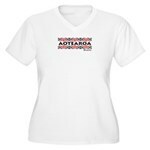 Aotearoa Women's Plus Size V-Neck T A comfortable fitting T with Maori motif. Our 100% cotton, women's plus size v-neck tee is luxuriously soft. Constructed of mid-weight jersey, it's just the right weight for layering. Side seamed construction provides the perfect shape.